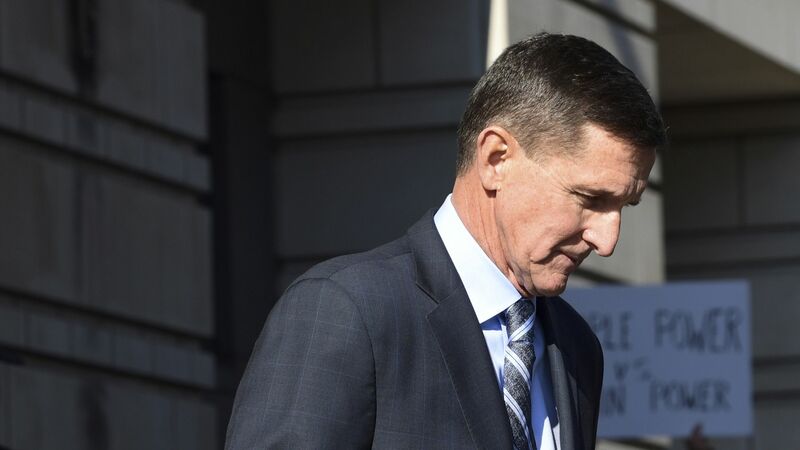 Robert Mueller and his team are focusing on the days after White House officials were told Michael Flynn was vulnerable to Russian blackmail, NBC News' Carol Lee and Julia Ainsley report, citing "two people familiar with Mueller's investigation". Why it matters: This means Mueller's team could be working to determine if Trump obstructed justice and is likely seeking out what President Trump knew about Flynn's conversations with former Russian Ambassador Sergei Kislyak, and subsequently, when Trump learned Flynn lied about them. That period: January 26 to February 13, 2017. The focus reportedly includes interviews with White House Counsel Don McGahn, who briefed Trump and senior White House staff about Yates' report that Flynn had lied to White House officials on January 26 and that he was vulnerable to Russian blackmail, according to Sean Spicer. That included Flynn's lie to Vice President Pence, which is what Trump cited in his firing statements. Yates testified before Congress that McGahn asked about Flynn's FBI interview but that she refused to answer questions about that. McGahn briefed Trump and senior White House staff about Yates' report that Flynn had lied to White House officials on January 26, according to Sean Spicer including Vice President Pence, and that he was vulnerable to Russian blackmail. The effort reportedly includes interviews with other White House officials as well.